Spy School is the newest novel from Stuart Gibbs. 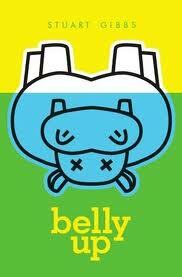 His second novel, Belly Up, about mysterious animal deaths at a zoo caught my eye both for its original plot idea and for the potential humor the jacket flap promised. Although I have yet to read Belly Up, I can tell you that Spy School is funny, action packed and an intelligent book about intelligence and is so good that I plan to read all of Mr Gibbs' books asap. Spy School begins with a heavily redacted document from the Office of the CIA International Investigations regarding Operation Creeping Badger and a twelve-year old named Benjamin Ripley and ends with one. In between, from January 16 to February 10, we get the fantastic story of Ben Ripley and his life as a spy in training at the CIA Academy of Espionage in Washington DC. But, before he is inducted into the Academy, he discovers a man in a tuxedo sitting on his living room couch when he gets home from school. The man introduces himself as Alexander Hale and, aside from his seeming penchant for sports drinks, he has a definite James Bond air about him. Hale explains that, because of Ben's frequent visits to the CIA website, high scores on the games, genius math skills, ability to speak three languages and heretofore untapped gift for cryptology, he has been recruited to attend the Academy. The fact that this is happening mid-year is brushed off by Hale (as is the condition of the student who's place Ben is taking.) As Hale and Ben pull onto the school grounds he is caught up in an attack, shot at and tackled by a fellow student who smells like an "intoxicating combination of lilacs and gun powder." She gives him a taser and sends him to the principal's office to alert the higher ups of the invasion. As Ben bursts into the office after using his taser to disable the computer locking the door, he is greeted by the administrative staff of the school. He is informed that he has received a D- on his SACSA (Survival and Combat Skills Assessment) and thinks to himself, "a mere twenty-three minutes after my arrival at spy school, I had learned something extremely important about it: it wasn't going to be easy." 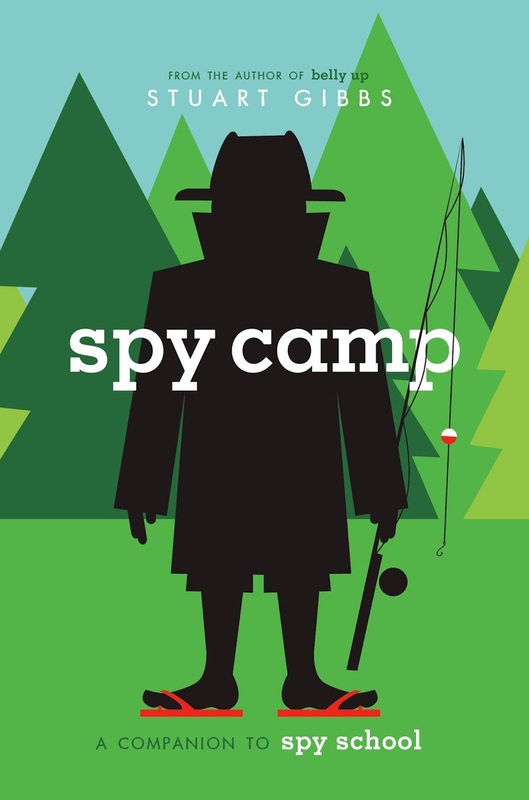 I have to admit that I haven't read many books about espionage, for kids or adults, but I have the feeling that, if you are going to write a spy book these days, you have to have an angle. Since Ian Fleming opened up a world of cliches surrounding spies with his creation James Bond (in fact, one of the many funny bits in Spy School is the label "Fleming," which is what you are called if you arrive at spy school thinking you're actually going to "become James Bond") I'm not sure if you can write a straight spy story anymore. I love the direction that Gibbs takes Spy School in and it is one that will definitely appeal to older readers (11 - 14) whereas Michael Buckley's equally fantastic but very different (and soon to be reviewed here) N.E.R.D.S. series of books about spy kids is perfect for younger readers, especially those with reading skills higher than their grade level. 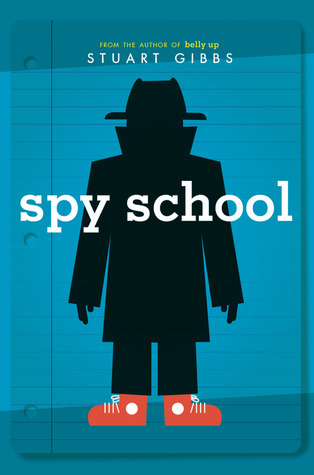 Spy School is every bit as funny as Buckley's books, but in a drier and slier way. In a class titled "Introduction to Self-Preservation," a lecture on how to avoid ninjas begins with the instruction to "Stay out of Japan." A game of capture the flag finds Ben and a classmate planning to scale a wall. When she pulls a grappling hook out of her backpack and asks, "I assume you know how to use this?" Ben thinks to himself, "I didn't. I'd never even seen a grappling hook until that moment. Not outside of the movies. I couldn't even imagine where she'd got it. I'd never noticed a grappling hook store - or a grappling hook section at Target - in my life." Then there is a self-explanatory self-defense move called the "Bashful Armadillo." And, my favorite, "'Hogarth's Theory of fear-based urination': The amount of danger you are in is directly proportional to your need to pee." Without giving too much away, I can tell you that Spy School is set in a highly secretive Academy that trains teens to become CIA agents once they graduate and that the enemies are not foreign agents but the school administration and Ben's own classmates. After nearly failing his SACSA test, Ben is bullied by an upperclassman as he unpacks his dorm room. The whole school seems to know about Ben's stellar cryptology skills and Chip wants him to hack the school's mainframe, cracking the "rotating sixteen-character daisy-chain password protecting the firewall." Ben is rescued from the seemingly demented Chip by Murray Hill, a slacker classmate who's goal is to obtain a desk job with the CIA and retire young (and rich) by getting bad grades in classes that require physical exertion. Later that night, an assassin enters Ben's room and, despite a shot being fired, Ben talks (and hacks with a tennis racket) his way out of the dangerous situation. As the story unfolds, Ben is befriended, although entirely in secret, by Erica Hale, the upperclass mate who smells like lilacs and gunpowder and also happens to be the daughter of Alexander Hale. Erica is dead serious about spy school and uncovering the mystery behind Ben's admittance to the Academy. When it's clear that Ben's life is in danger, he is moved out of his dorm room and into "The Box," an underground holding cell for dangerous prisoners that Erica is able to infiltrate. The mystery of who is after Ben and what the endgame for Operation Creeping Badger is had me reading breathlessly to the end of the book. In the absence of impossibly unrealistic spy gear, Gibbs does create a very cool maze of underground tunnels and rooms that extend beyond the grounds of the school. But what I like most about Spy School is that the kids have to use their brains to figure out what's going on. And, while Ben thought he was a pretty smart kid before entering the Academy, when he's in a school full of really smart kids and forced to use his brains in a new way, and things get very interesting. Although it was a struggle from start to finish for Ben and he has quite a few down moments, I hope that he gets to stay at the Academy and that Gibbs' has another book Spy School book in the works! BEN & ERICA WILL BE BACK IN 2013!!! Ben Ripley is back for more adventure, more mayhem — and more hilarity. 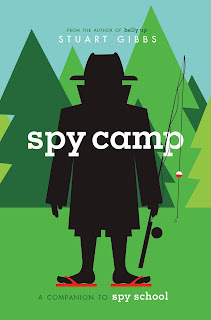 Now, he’s spending the summer at the Academy’s of Espionage’s top secret outdoor education facility, aka ‘Spy Camp.’ But any hopes he has for a relaxing break from spy school are quickly dashed when SPYDER resurfaces — and this time, the evil organization is targeting Ben himself. It isn’t long before Ben finds himself on the run in the wilderness with both Erica and Alexander Hale in tow. Can they survive long enough to figure out SPYDER’s fiendish plot this time?